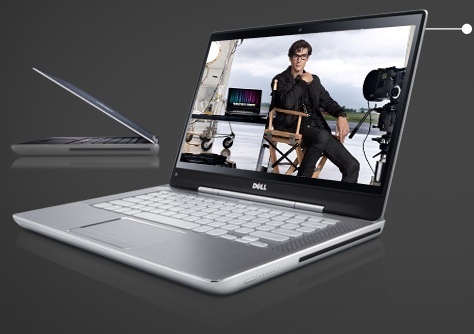 Dell’s new notebook laptop in XPS ‘z’ series provides exclusive performance of the traditional XPS. The device is sleeker and is quite portable without compromising on the build quality and aesthetics. This new model is named as the XPS 14z. The XPS 14z is slim and compact. It has a very nice display screen. Made from the anodised aluminium, the notebook is provided with sweeping curves and chrome accents make it very astonishing. On its left side there is a microphone and headphone jack and a memory card reader. The right side is kept for slot-loading DVD drive and battery charge indicator. Remaining ports are located at the back side including the power port, DisplayPort, HDMI, two USB ports and a LAN jack. There’s no USB 3.0, which is a downer. The XPS 14z an Intel Core i7-2640M, a dual-core multi-threaded CPU running at 2.8GHZ and with Turbo up to 3.5GHz. Other tech features include 8GB of DDR3 RAM, 750GB hard drive and an Nvidia GT 520M with 1GB dedicated graphics. The 14-inch screen has a semi-gloss finish and at 2kg, the laptop is even too light to be carried around. The device lacks customization features. Customization is merely for the software package and accessories, but not the core components. The regular XPS line-provides better freedom and is even affordable on rates and prices. Despite this being a dual-core CPU its graphic card is bit weak. The XPS 14z comes with an 8-cell battery and it is internal. At price tag of Rs. 78,900, the Dell XPS 14z is expensive for a 14-inch notebook choice but on technology platform justifies the price. It can be rated *** stars out of 5 on design and performance.